If you heard before that you can’t have a decent or good value road bike under $500 dollars. Then I think you heard from a wrong source. Here is the statement I want to give you about the Giordano libero 1.6 road bikes. The “Giordano Libero” 1.6 is a decent road bike with all the quality and components within affordable price tag. This bike features and quality really meets many high – end or big budget road bike. 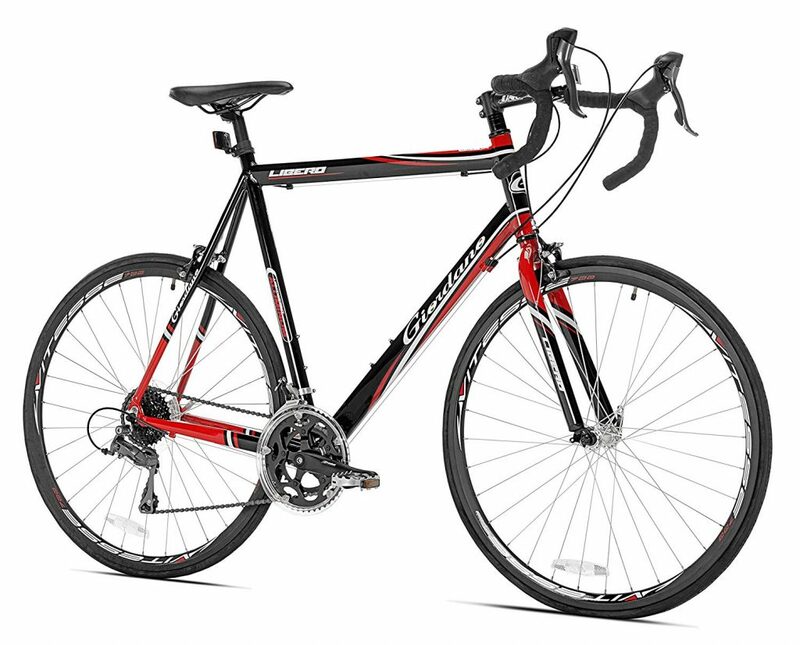 When I have first introduced this bike from one of my bike enthusiastic friend I was really amused by the features and design of this Giordano libero 1.6 road bike. In the bicycle industry, Giordano bike brand is established their name by their quality products. From the Italian rich bicycling history they take inspirations and making the bike for the real bike enthusiastic. Their main goal is to make their customers happy and satisfied. For this, they use the best kind of materials and components so that you become safe and your bike enthusiasm never get rotten for the wrong or dissatisfied bike. The Giordano libero 1.6 is one of their ever best model road bike dominating the current market with full of trust and reliability. 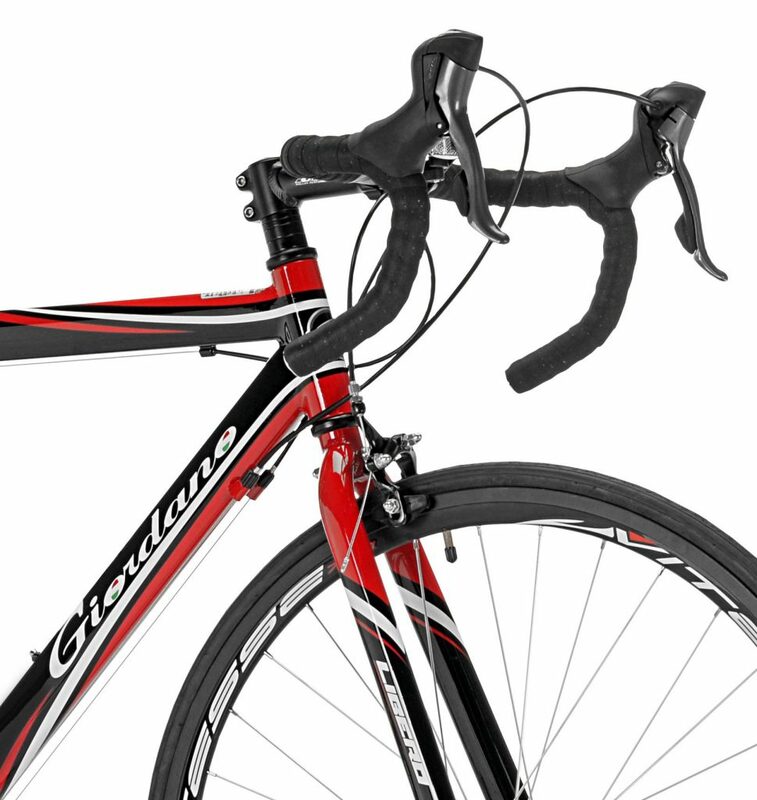 The Giordano Libero 1.6 road bike designed with handcrafted 6061 aluminum frame. Which means the frame is lightweight and strong. This lightweight aluminum frame will give you long time support without any damage condition. It has a lot of shock absorption power. So whether you are running on the smooth road or bad condition paved surface you will stay safe with your bike. There is a high tensile steel fork with the frame beautifully features. To increase strength this tensile fork works great. It also reduces extra bump ahead on your road and it helps to increase shock absorbing power. It’s really unrecognizable such a low budget bike with these high features and materials included. The Libero features with very high quality and modern shifting, derailing functionality and components. 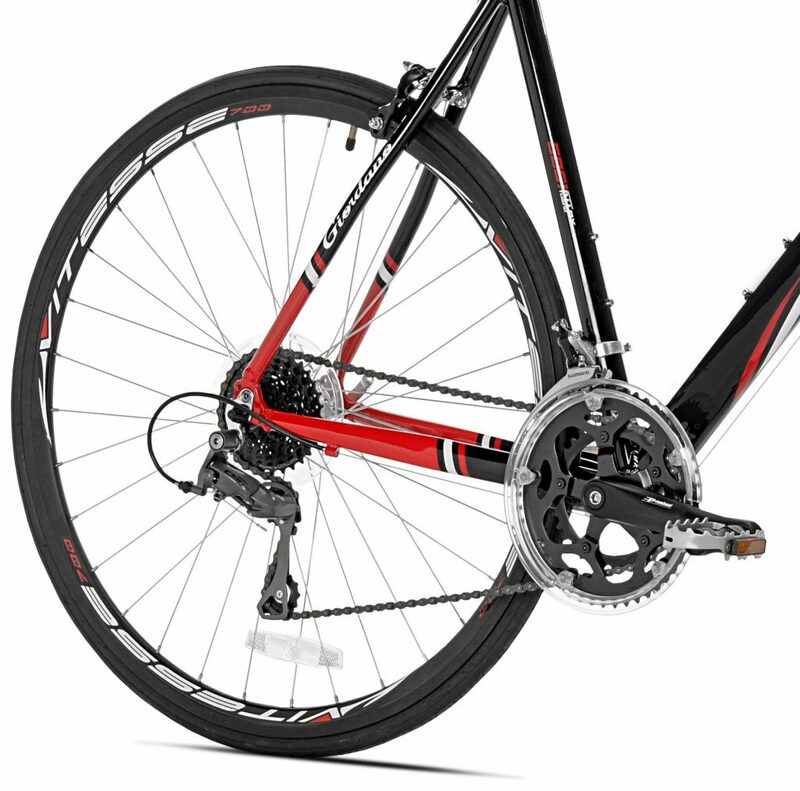 This bike uses Shimano Claris 16 Speed STI shifters and derailleurs. This Shimano STI shifter and derailleur has a good impression among bike enthusiastic around the world because of it’s hassle-free and easy to use. So you don’t have to be bored for your gear shifting needs. The Giordano libero 1.6 consists of very light rims and thin tires. The rims are made with alloy and it’s size 700c. These rims are strong and durable being alloy it’s rust free. The lightweight rims and the thin tires combine contributes the bike overall speeds. The best thing for thinner tires Is it reduces frictions which makes the speeds slower. Both the tires and rims combinations make the bike super easy to move on and easy to control. And the best thing is you can quickly release the rims without any hard tool’s help. 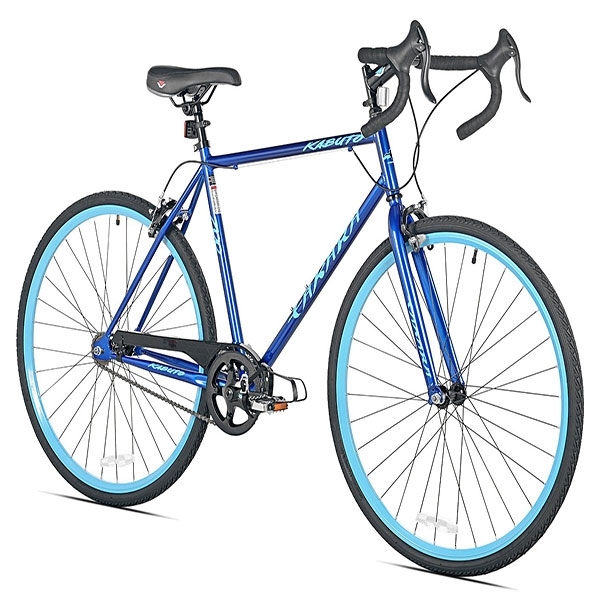 The libero road bike has multi sizes and color for different height need. It’s also a unisex bike so you can choose this bike whether you are male or female. The different sizes make the bike easy to choose on your comfortable need. It’s really a matter of fact that you ride your bike for enjoyments and fun. So, you have to choose the right size bike that’s best suits on your height and inseam. The Giordano libero has 3 different sizes available in the market. These are small, medium and large. Shorter riders whose height range between 5’1” and 5’8″, can buy the smaller sized Giordano libero road bike which is about 50cm. The medium one is for those heights is 6’8” to 6 feet. The large version is suitable for cyclists who are above 6″ tall. The medium and the large versions are about 56cm and 61cm respectively. So you can choose your best suits bike and color from the different option. It does not happen always your purchased bike would come fully assembled. It mostly happens when you buy from online. The Giordano libero is also come with it’s few disassembled parts. But don’t worry, it’s easy to put together and just take few minutes to ready to go. It’s not a big issue you just need a few tools and instruction to do the job which will be given by the manufacturer. However, after you assemble you may take the bike to the nearest bike shop to final check. The brakes and gears should be carefully fixed to avoid any kind of bad experiences while enjoying the ride. You can check out some video tutorial to assemble properly. Or if you are totally new and you don’t have any experience with assembling bike then I think you should hire an experienced person. 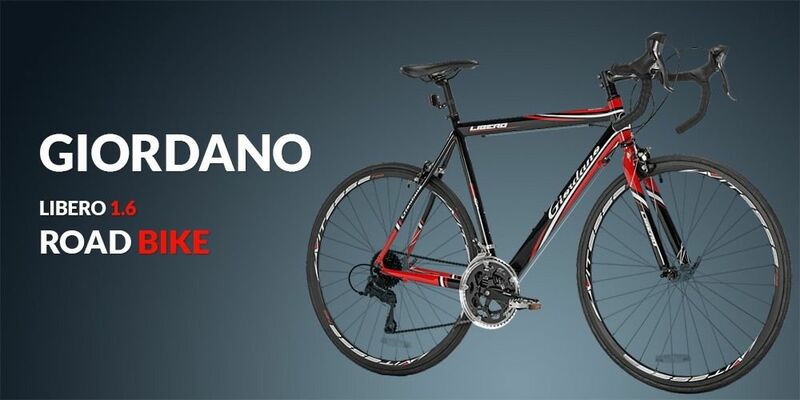 The Giordano libero is one of the best features and quality bike within the budget price in the market. You might think of a 1000 dollars bike to make your ride more enjoyable. But this bike really performs better than any other pricey bike on the market. 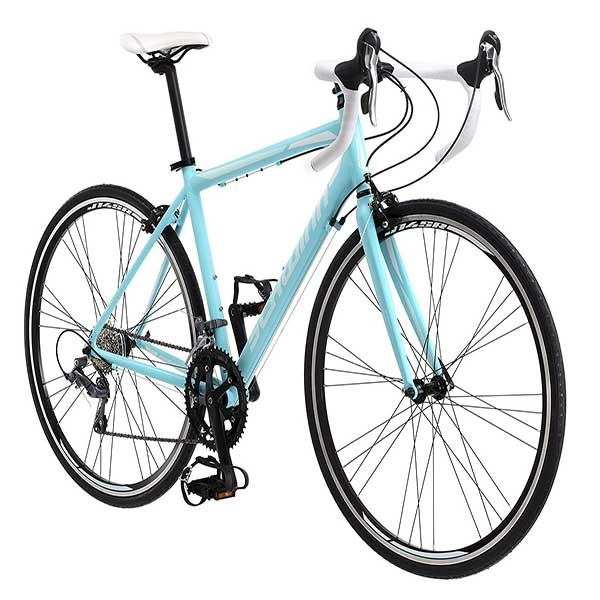 It has very exceptional features like the aluminum frame, Shimano STI shifters, and derailleurs, lightweight rims above all the controlling and speeds really meet many high-end road bikes. Different category bike has a different purpose to ride. 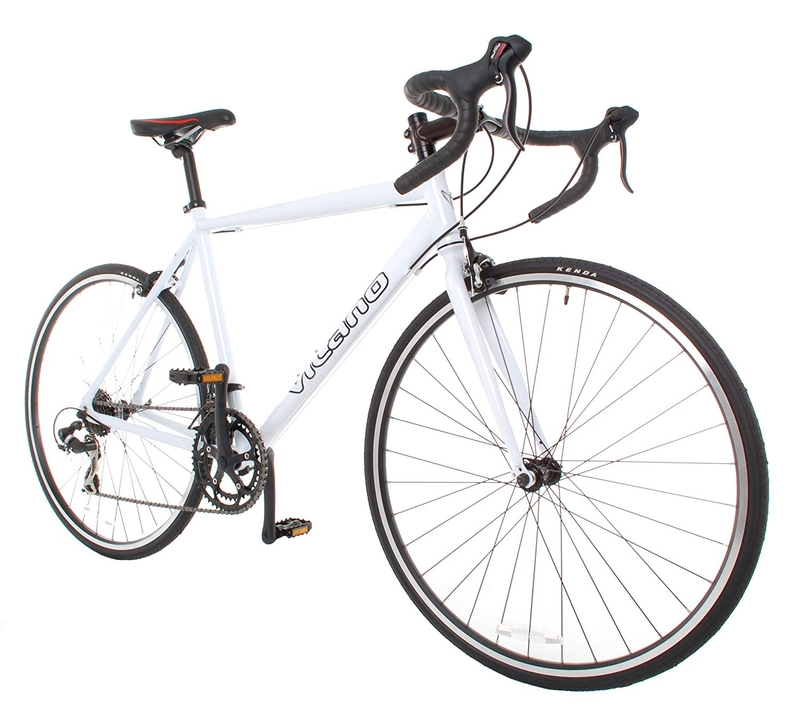 The Giordano Libero is a road bike so defiantly you might understand what the main purpose of this beautiful bike is. You can ride this bike for your daily commuting need, exercise, to go office or campus. Even you can take a part of local bike racing with the libero. So for your information, you can use this bike for casual riding or road racing. If you are in a hobby of bike riding you can go for a ride with your family or friend. It’s a way of spending your leisure time in style. Question: Is the 51 cm/small a good fit for a female that’s 5’2”. Answer: Female would need to be at least 5′ 5″ for this size bike. Question: How can we assemble it by ourselves? Answer: You just need a few different size Allen wrenches. The instructions are pretty straightforward. Question: I’m 5’7” should I get a small size or medium? Question: I’m 5’8”, what size is best for me? Answer: You have to measure your inseam first. Usually the length of the pants you wear. the length of your inseam should be the length of seat tube. so get your inseam and see where it lands on the size chart for the bike. There are websites to check which size bikes fit you best. Bike size calculators. From the above discussion, I would like to suggest you that if you want to have this bike for you or for your loved ones it will be the best choice you ever made. You will enjoy the ride of Giordano libero that searches your soul. Every parts and component of this bike is durable, sturdy and reliable. So I personally think your money will not be wasted if you buy this beautiful bike.